Ethically harvested (Fancy words for "I found the shell in my plants! 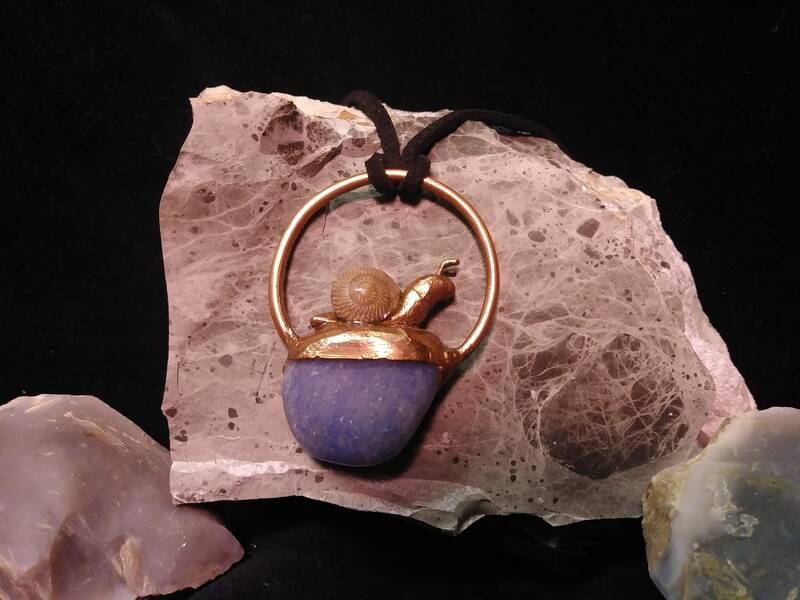 "), Texas-grown snail shell with a hand-sculpted wee body is perched on a beautiful specimen of Blue Quartzite. Electroformed in upcycled copper. 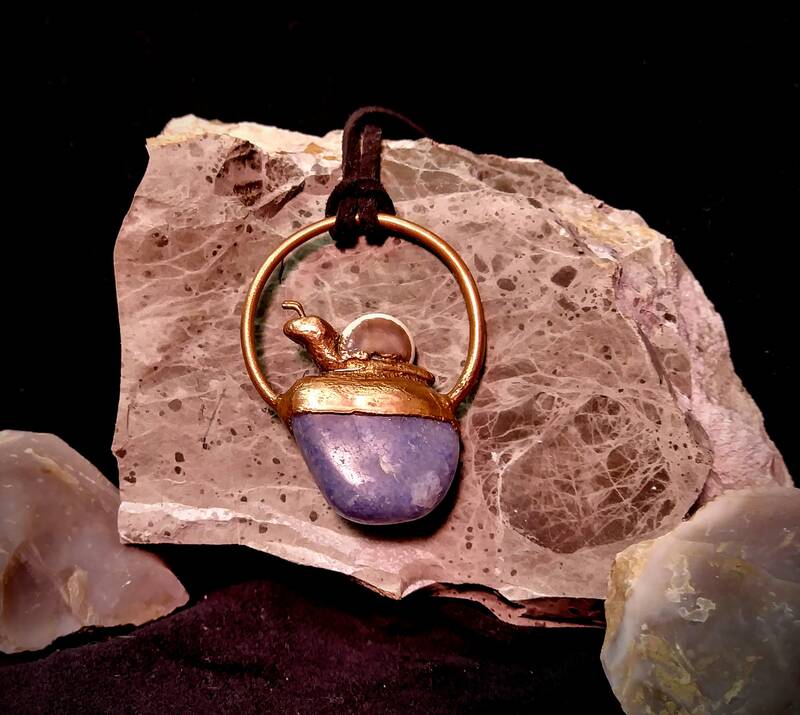 The pendant is approximately 1.5 x 2 inches on a 26" cord. The copper was polished and given a resin coating to retain color and protect the copper patina. This also makes it metal allergy friendly! The black cord is Vegan Leather (more fancy words for "Quality Plastic"). 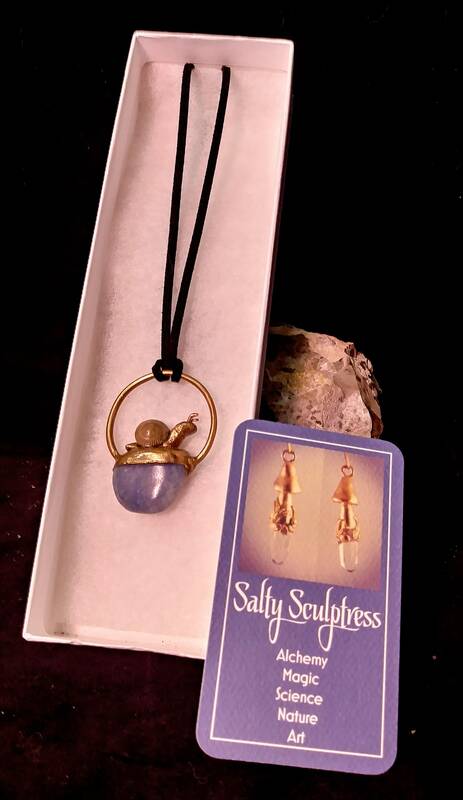 This pendant comes in a necklace gift box.